A few months ago Jason Whiteley sent me a copy of his illustrated children's book, Tales from the Tacklebox: Escape from the Crooked Tree. I've been sitting on that review for a while intending to pair it with another review I've been meaning to do but those great plans went the way of most great plans. In this time of giving, I review below some of my favorite reading of this year. If I didn't already own this stuff I'd ask for it under the tree. If you know an angling reader I think they'd all be great gifts. Of course, don't forget to get a little something for yourself. Tales from the Tacklebox: Escape from the Crooked Tree, Jason Whiteley, illustrated by Michael Koch, $14.99 Softcover, $4.99 ereader (Amazon, B&N, Google). Jason sent me a free copy of his book and I subsequently bought the ereader version from Amazon. This is a fun book. It's delightfully illustrated by Michael Koch and while it has the simple story and primary colors of a children's book it's more than just a story about angling. Within is a fable of loneliness, self-worth and redemption; all valuable lessons for young anglers. My young nephew enjoyed it and was especially concerned about Stinkbait's loneliness. It's tough to be a Stinkbait. Who knew Dry Flies were such bastards! I've been trying to buy Kirk's books for some time. I ordered the first book from an online fly shop and it turned out to be out of stock. 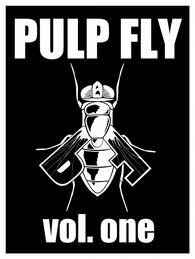 A nearby fly shop told me they had a copy but it wasn't there when I arrived. I finally got around to buying them on Amazon while shopping for other Christmas presents. 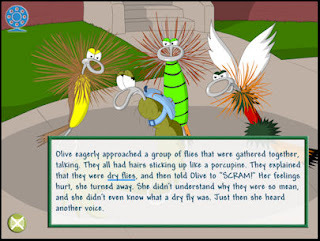 While awaiting their arrival (Note to Kirk: ebook), I downloaded the Olive App. Short story: This thing is way under-priced for the value. 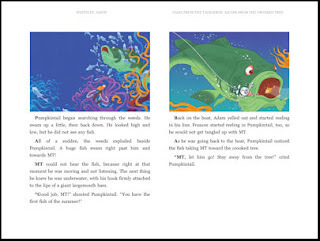 Not only does it contain a short animated book that kids find enchanting, it also serves as an introduction to fly fishing. Throughout the story are links to sidebars describing all aspects of our sport from fly selection to stream entomology and river habitat. And then at the end there's a game. What's not to love? Kirk has an exceptional talent with both his illustrations and story telling. Good fun! Part of the reason I still buy paper books is that some just feel good in the hand. Trade paperbacks I'll buy as an e-thing but certain hardcovers have a heft and quality that are delightful; good "hand". It's a strange thing by which to measure a piece of literature, but I never claimed to be normal. 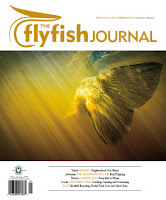 For forty bucks a year not only do you get four issues of fly fishing literature, but it comes in the best feeling and looking magazine journal I have ever held. And then when you open it and page through and read it you get wonderful stories from the likes of Deeter, Bie, Santella, Nolte and a host of others who write equally as well. Good stuff if you like the literary end of angling writing. Hook and bullet readers need not apply (unless you're looking for something completely different). Attitude. Attitude. Attitude. 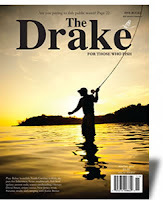 Yeah, this journal has been around for a while and the forums that the Drake Mag site have spawned are notorious but it remains a benchmark for angling journals. I only discovered The Drake a year or so ago and find it an extraordinary collection of writers who don't have their drift boat tied to convention. At times I feel like it tries a bit too hard to not be conventional but then you don't become something different without planting your flag far off the beaten path. Mostly it's a solid, alternative voice in our sport's literary landscape. You'll read plenty of Tom Bie and Geoff Mueller in the magazine but you'll also get Tosh Brown, Chris Santella (there's that name again, watch for a pattern) and Bruce Smithhammer. I know. You're saying, "Steve, you literary snob, how could you recommend a hook and bullet (sans bullet) magazine like Fly Rod & Reel. You might as well just recommend Field & Stream." Not so gentle readers. 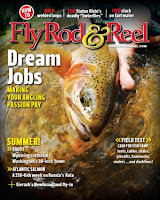 In a trend that began when Greg Thomas became editor a few years ago, the magazine has moved from being a "fish here, with this" sort of thing to being a place where stories about our sport can be found. This struck me when reading a recent article by Tom Rosenbauer about fishing the Delaware and a search of previous issues made it clear, the magazine is moving away from what one might consider "traditional" fare. Of course, this should be no surprise given the magazine's long tradition of publishing Gierach and the Traver Award winners. Look for more goodness from this magazine going forward. 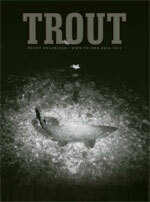 Trout Magazine, Kirk Deeter, Editor, Free with a Trout Unlimited Membership, $17.50 Introductory Membership or Free for Women, four issues per year. "Steve, again?! Are you nuts? 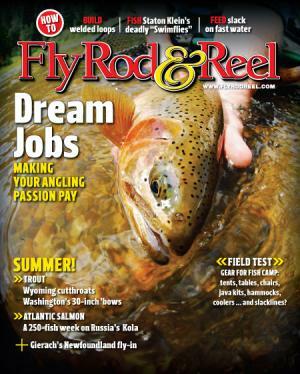 Trout Magazine! That's TU Propaganda!" Okay, yes, historically this is a pretty dull magazine; mostly backhoes, stream restoration and news from the TU Nation. But TU went crazy and hired Kirk Deeter and installed him on the editorial throne. Since then this thing has taken a hard turn off-road. Kirk's first issue brought stories from writers like Chris Santella (there he is again), Monte Burke and Christopher Camuto. These writers aren't producing conservation articles. 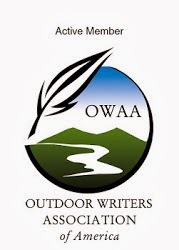 They're writing stories about the people, fisheries and sport that we all enjoy. While I'm going to reserve final judgement on this venture, I suspect that this will soon be the greatest value in fly fishing magazines -- free for the price of membership. Finally, three quick recommendations: You couldn't go wrong with any of these books. Two I reviewed earlier this year: the Little Red Book of Fly Fishing by Deeter and Myers and Shin Deep by Chris Hunt. Each can be had for around $15 in the usual places. And, finally, Pulp Fly edited by Bruce Smithhammer, $4.95, ebook only. About a dozen stories from different writers, half of which made the bargain price more than worth it. Probably the second best value on this list. I hope you all get what you want for Christmas, even if it's as simple as more time on the water and peace in your heart. Both things that are hard to find but are worth searching for. Even though Jason sent me a free copy of his book nobody else sent me anything or asked me to write this stuff. It's stuff that I enjoyed and hope you (and those on your Christmas list) enjoy as well. One of these days I'm going to pull together the writers I know that don't fly fish and yet tell some pretty good fishing stories. Doesn't always have to be about fly fishing, does it? I'm glad you did this, there's a couple listed here I've been meaning to add to my collection. Ken, no it doesn't. I spend most of my time reading outside of fly fishing. Proulx got her start writing in Gray's Sporting Journal, back when it was just a baby. She went by E.A. Proulx, so nobody would know she was a lady. She's also the author of "The Shipping News" and "Brokeback Mountain", neither of which I've read. I'm a short story guy these days, for reasons only to do with time management. The Shipping News was a great read. So was the Beans of Egypt Maine. 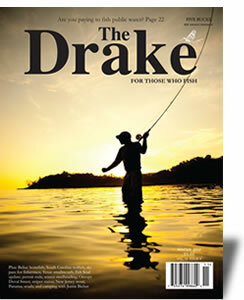 I expected much more from The Drake, though I've only read the last two. Some of the stories are too short and just too safe. The writing here, and in select other blogs, has more bite. It always feels good in The Hand.